Over the summer, I wrote this Ultimate Guide To Summer Sidewalk Chalk. 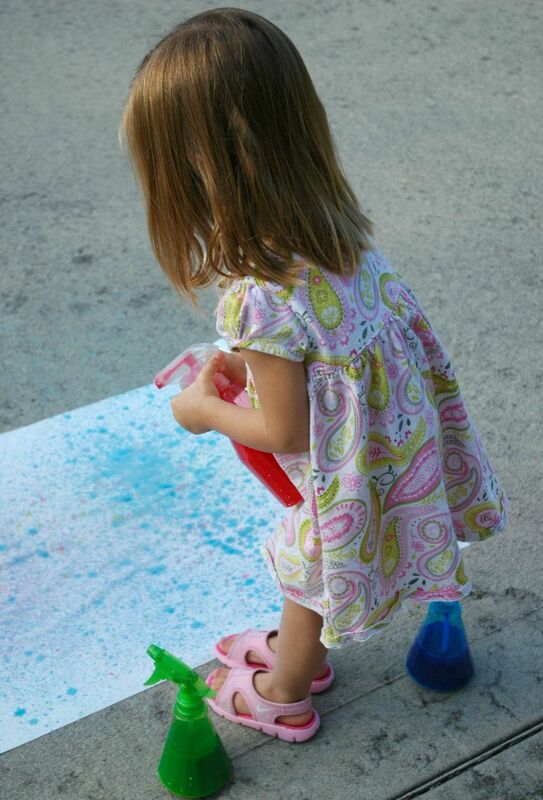 Since then, the girls have been obsessed with spray chalk and we've made and played with it several times. 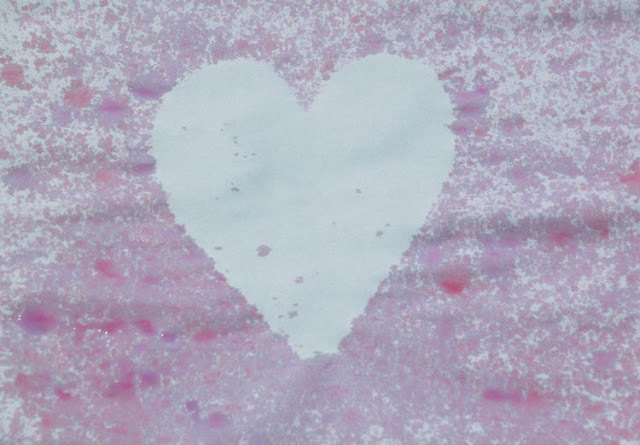 Each time they have decorated the driveway or our patio with spray chalk, I've thought how pretty it was and wished there was a way to keep it. So yesterday I brought out some paper! It was a huge hit. Here's how to set up Spray Chalk Splatter Painting. Collect some spray bottles. I found ours at the Dollar Tree, and they work fine. If you don't want to make a trip to the store, these would do the trick. Add approximately 1/3 cup of cornstarch (cornflour to my UK friends) to the bottles. I use a tiny spoon, work over the sink, and plan to spill a lot. A funnel would be a great idea! Fill up the remainder of the bottle with water, and add a generous squirt of food coloring. 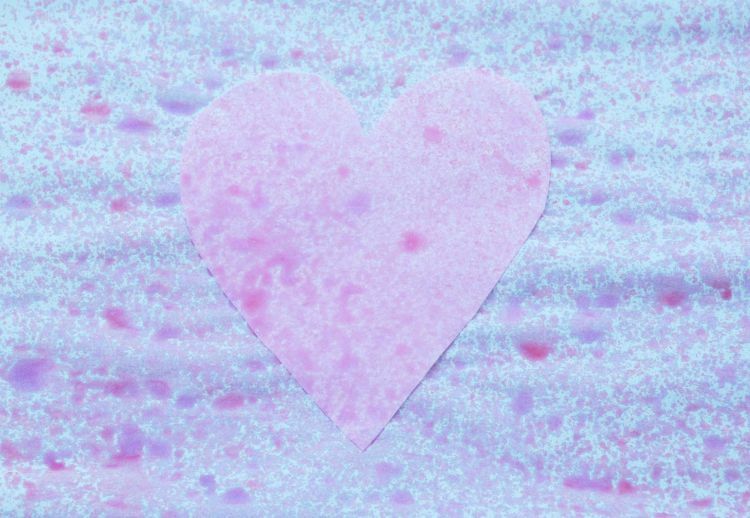 I've found that neon colors are brightest (duh) but regular colors work fine, too. You can experiment with how much food coloring you need to add to get bright enough colors. Next, swirl and shake the bottles until the cornstarch is integrated. 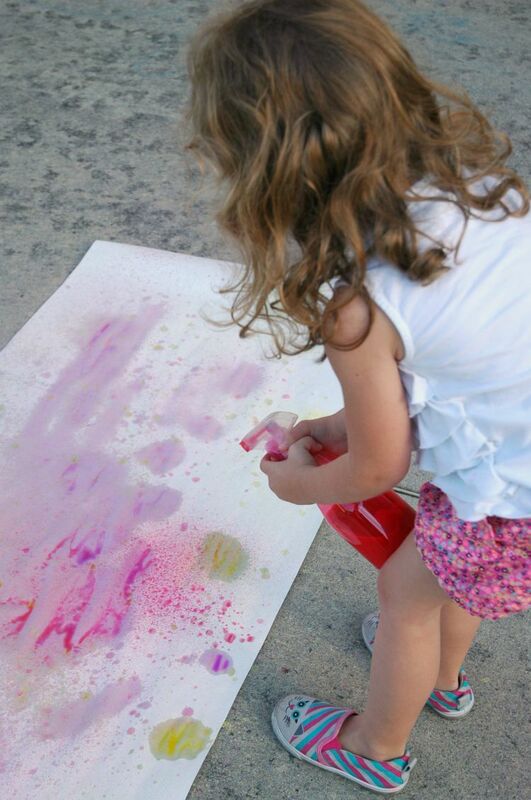 The cornstarch will settle to the bottom as your kids play with their spray chalk, or if you let it sit overnight. Just give it a good swirl and shake periodically. Cornstarch is a FOOD product. 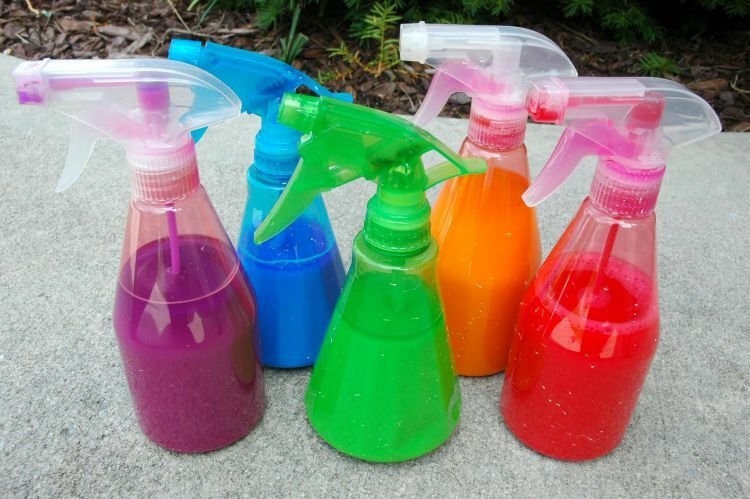 Your spray chalk and bottles will mold and turn nasty if left for long periods of time. I usually try to encourage the girls to use all their spray chalk within a couple of days, and then rinse out the bottles until next time. Be sure to work some clean water all the way through the spraying mechanisms, too. We've lost a few spray bottles to nastiness. 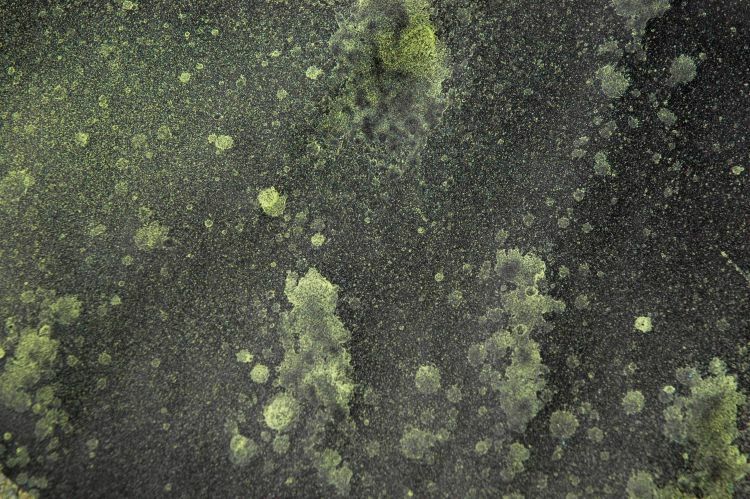 If you get some spray chalk on your clothes, shoes, or hands, it's no big deal. It usually just brushes right off, and the amount of food coloring when diluted hasn't been enough to stain any of our clothes. A pristine white T-shirt is probably not a good idea, though. 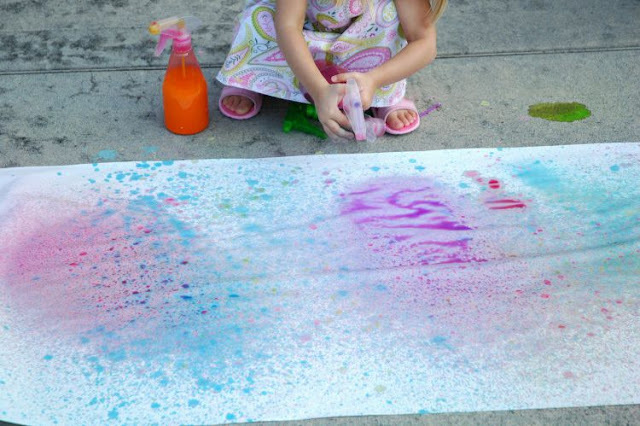 In addition to using your spray chalk all over the sidewalk and driveway, let your kids spray on paper. 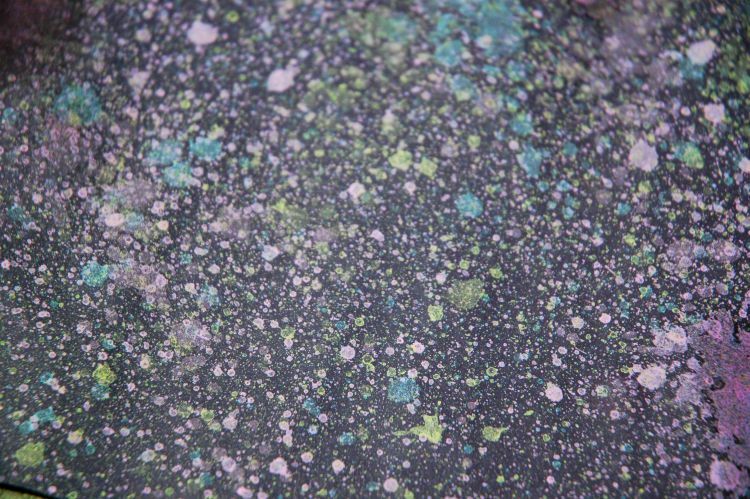 Splatter painting on black paper looks especially awesome! Yellow spray chalk on black paper reminded me of a universe of stars and galaxies! Try laying down some shapes on your paper for some 'resist' art. 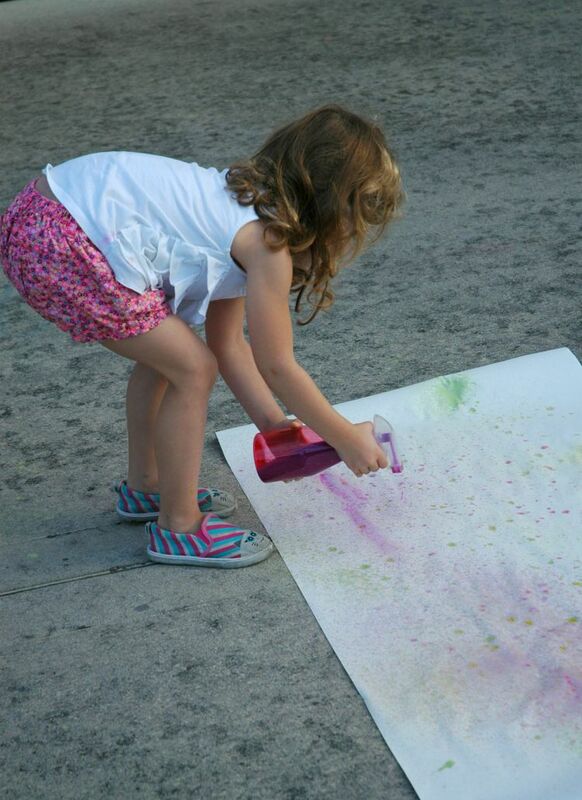 And since everything is more fun when it is giant, my girls wanted to do splatter painting on GIANT paper. This was their favorite part! I love presenting the girls with process art projects. They enjoy the freedom that comes with just being able to enjoy the process of making art, without any specific goal in mind for the outcome. 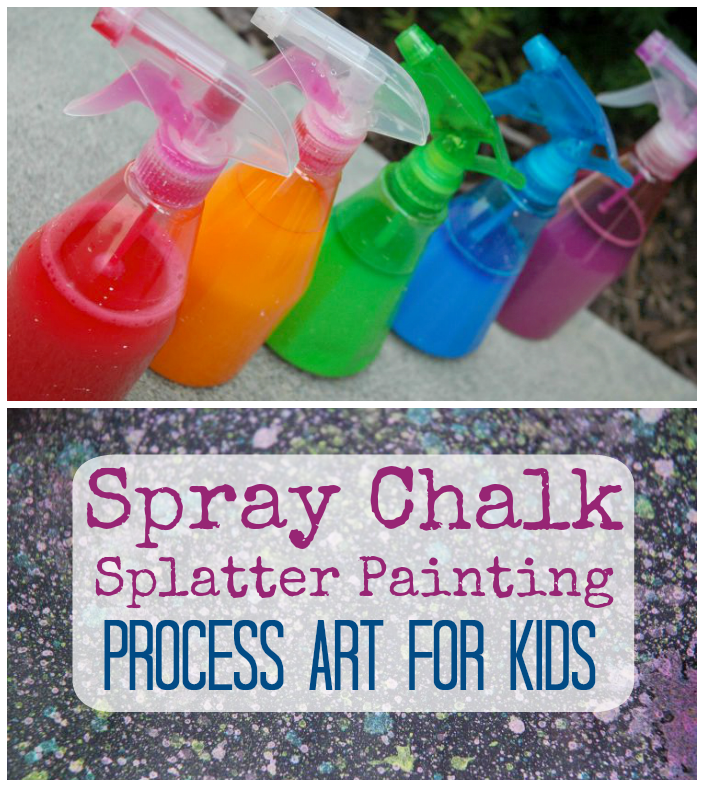 You can also let your children experiment with how the spray comes out differently depending on how you've turned the nozzle. 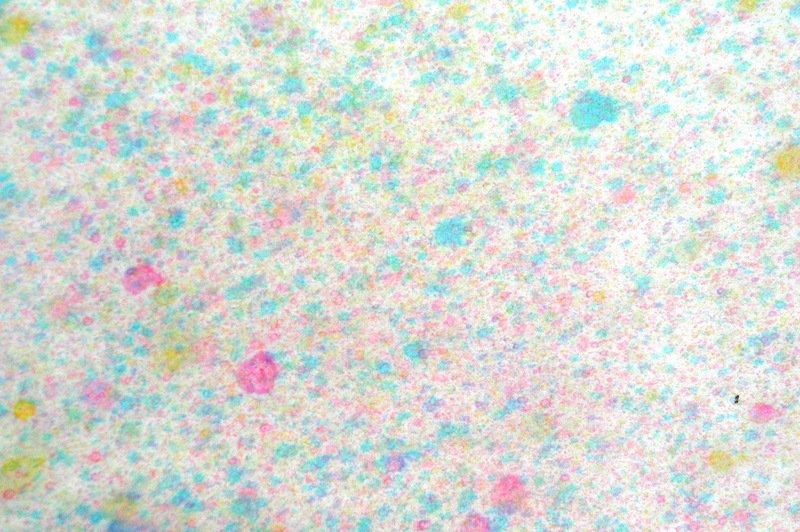 A 'jet' of spray chalk looks very different on the paper than a 'mist' of spray chalk! Using these spray bottles is also great work for little hand muscles. After a while Maggie had to resort to a 2-handed technique! 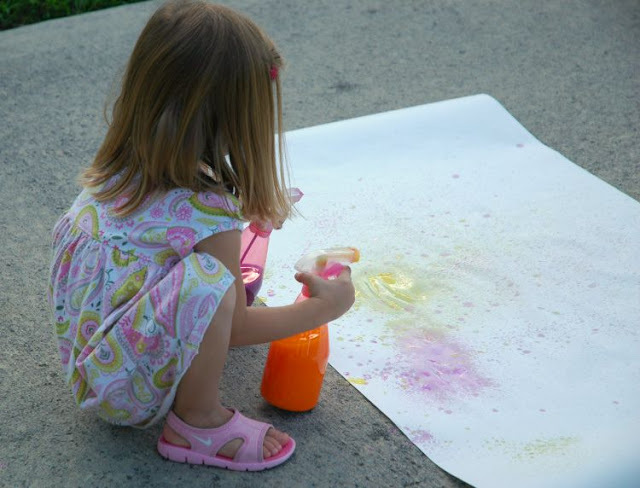 You may also want to encourage your children to see how the chalk looks different depending on whether you're close to the paper or far away from the paper. Spray Chalk Splatter Painting Process Art for Kids. Open ended outdoor activity for preschoolers and elementary children. Fun and easy!